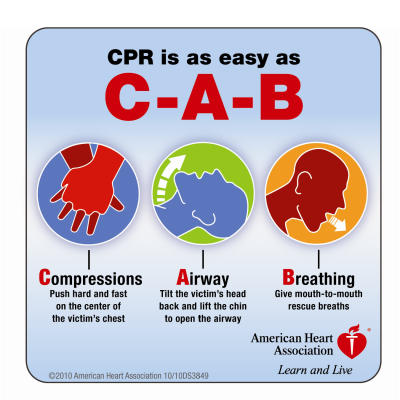 ​As a certified first responder I saw a void that needed to be filled in performing CPR through work place experience. 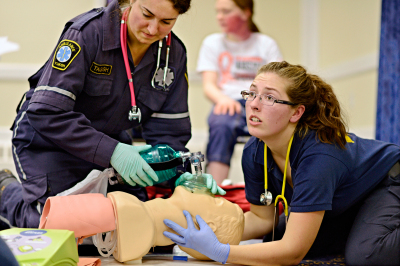 Ideally when a first responder is being trained or certified in CPR he or she is practicing on a CPR mannequin which allows the practitioning responder to put the mannequin in the head tilt chin lift positon. This position is stabilized by the mannequin because of the way it's constructed. The head and neck region of the mannequin can be manipulated to conform to the head tilt chin lift position without the aid of the first responder in training. This is not a practical adaptation of what goes on in the field. The reality of the circumstance is that when someone suffers from sudden cardiac arrest and a first responder arrives on the scene, he or she may be in a situation where a second responder is not present. At this point, time is a critical factor in saving the life of the victim. 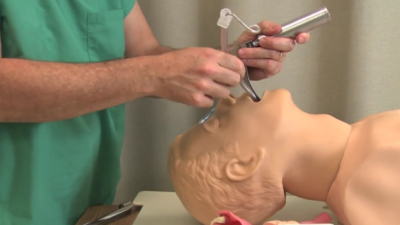 In this instance you'll have to act alone and maintaining an open airway is paramount. It would be a difficult task to hold the victim in the head tilt chin lift position and provide adequate rescue breaths unless you place an object under the victims head and neck region. The most effective way of performing the head tilt chin lift position is to pinch the nose of the victim and gently press down on their jaw bone to open the victims oral airway while providing rescue breaths or mouth to mouth ventilations. This technique is commonly a two person function as you can see from the image with the two female responders. 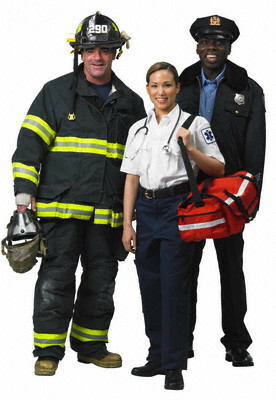 In most cases first responders have been accustomed to using a jacket or a towel to put under the head and neck region of the aided person to maintain an open airway as they cycle through ventilations and compressions. This technique although effective is highly risky because of the potential to spread germs onto the items used to prop the aided into the head tilt chin lift position. ​Our product is ergonomically designed for a single responder to successfully put the victim in the head tilt chin lift position and hold that position until more adequate methods of treatment are available. This product will also provide a free hand for the responder to give rescue breaths with the use of a pocket mask or bag valve mask. 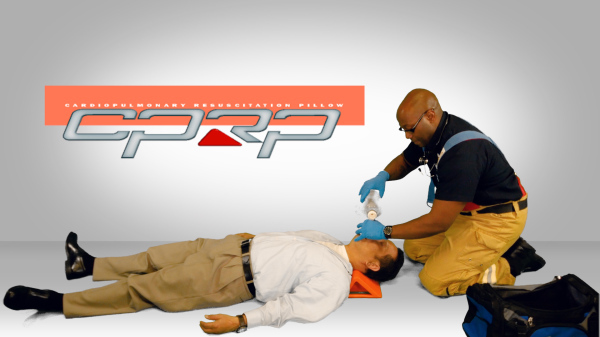 The single responder can then provide the necessary chest compressions and go back to ventilations without having to reposition the patient. An added benefit to the CPRP is that the spread of infectious germs and other diseases can be prevented because the CPRP can be wiped clean with common household and hospital grade detergents. The CPRP serves many benefits to the healthcare market including hospitals and clinics, long-term care facilities, nursing homes, ambulances, fire and police departments, private medical practices, therapists, travel hubs, corporations, stadiums and more. ​​The support pillow can also be used to aid in the insertion of an Endotracheal Intubation or a Nasal Pharyngeal tube. 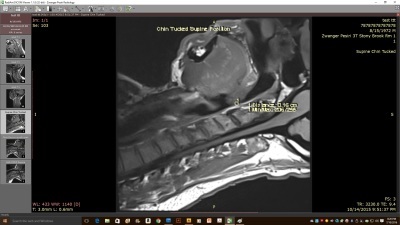 ​SCROLL​ OVER MRI IMAGES BELOW FOR A LARGER VIEW. In the above image you can see the single responder is using the CPRP to keep the aided in the head tilt chin lift position while he provides ventillations. The support pillow can ease tensions in these events by acting as a helping hand for the the responders. The first MRI image shows an airway opening of .16 cm. This is without the CPRP in place. It would be very difficult to provide rescue breaths with such a small opening. 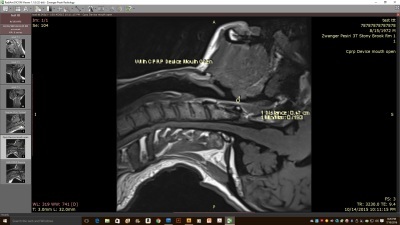 The second MRI image shows the airway's opening at .47cm with the CPRP in place under the head and neck region of the aided. This opening is sufficient for successful rescue breaths. 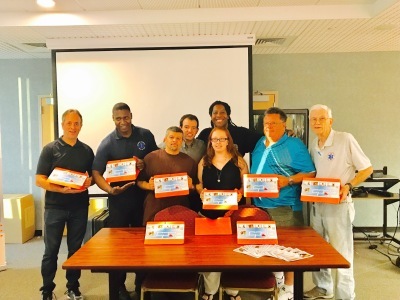 The Huntington Community First Aid Squad handles over 6000 emergency calls annually and they are equipped with a CPRP for each of their emergency response vehicles.